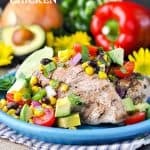 This Cowboy Caviar Chicken is a healthy dinner that's full of fresh flavor! 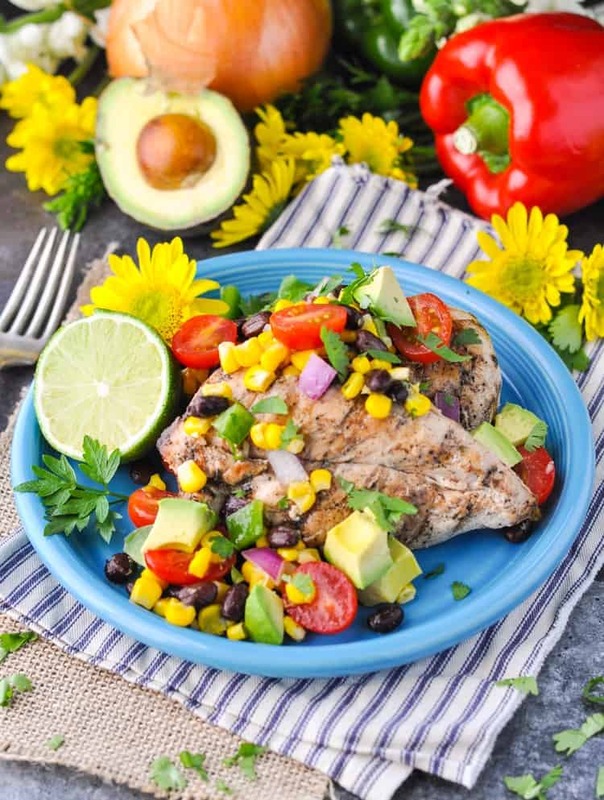 A simple corn and black bean salsa tops grilled chicken or store-bought rotisserie chicken for an easy meal that's ready in about 10 minutes! 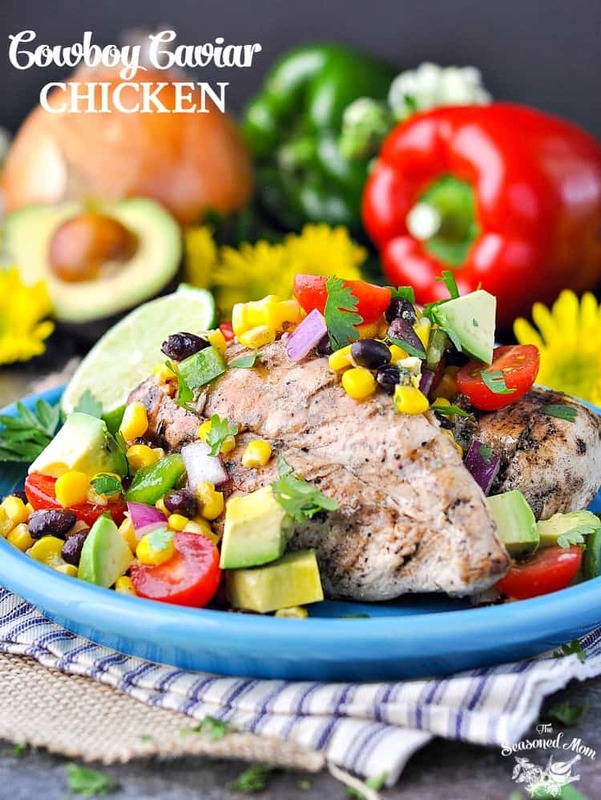 This Cowboy Caviar Chicken is a healthy dinner that’s full of fresh flavor! 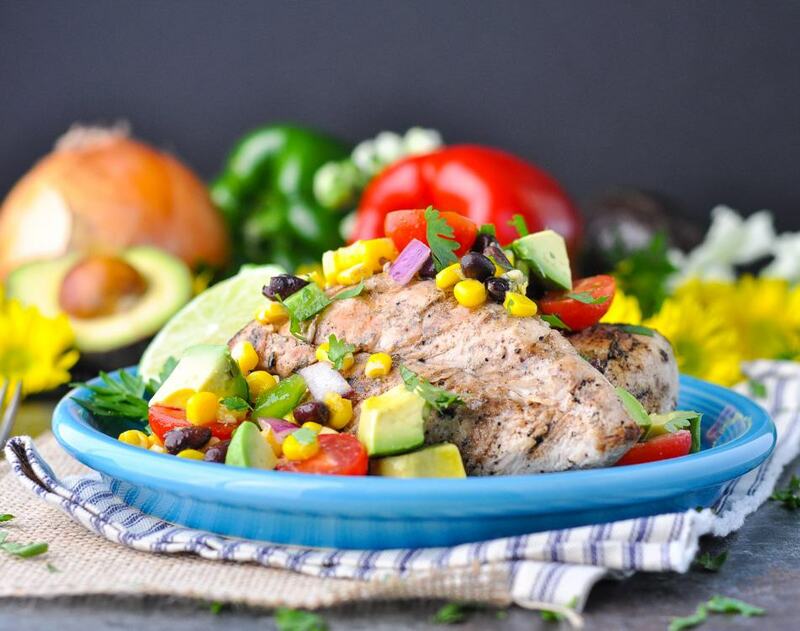 A simple corn and black bean salsa tops grilled chicken or store-bought rotisserie chicken for an easy meal that’s ready in about 10 minutes! 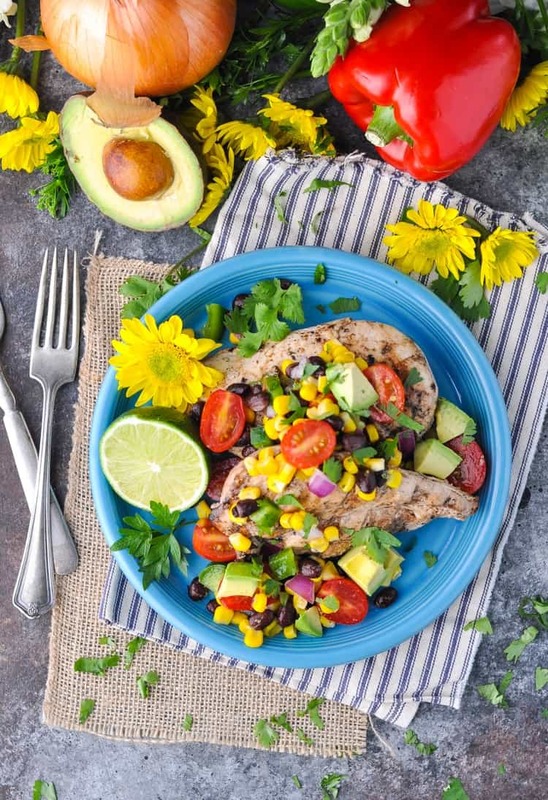 Grilled chicken is a staple on our summertime menus, but I’m always excited to find new ways to jazz up the plain ole’ chicken breast. 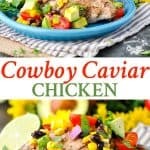 My easy Cowboy Caviar recipe is a quick dish that turns a ho-hum meal into a southwestern fiesta! Trader Joe’s Cowboy Caviar has been popping up everywhere lately! While I’ve never actually tried the jarred version, the combination of corn, black beans, and southwestern spices instantly reminds me of a similar dish that I grew up with. My mom’s corn and black bean salad makes regular appearances at cookouts throughout the warm weather months. It’s such a great companion for grilled chicken, barbecue chicken, grilled fish, or burgers and hot dogs. When I realized that my mom’s combination is very similar to the popular Trader Joe’s jar of Cowboy Caviar, I set out to make my own version. After all, I don’t think that my mom even uses a recipe, and instead tosses together basic ingredients and seasons it “to taste.” That’s always how Mom cooks — to taste. 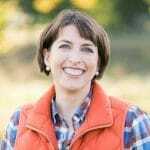 Fortunately for all of us, I actually wrote down the measurements of the ingredients that I used when creating my own Cowboy Caviar so that I could share it right here with you! Whether you call it a salad, a salsa, or a “caviar,” this dish is a fresh, fast, and zippy addition to just about any meal that you serve this season. 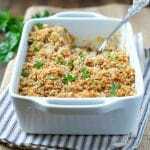 Best of all, it’s ready in a matter of minutes, it can be prepared ahead of time, and it keeps relatively well at an outdoor picnic (even when the sun is blazing)! When I served the Cowboy Caviar for the first time this season, I was pleasantly surprised by how much my boys liked it. Maybe it’s the bright colors? Or the sweet corn? Or the mild seasoning? 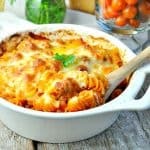 Whatever the reason, I can assure you that this simple dish will please even your picky little 3-year-olds when you set it out on the table! 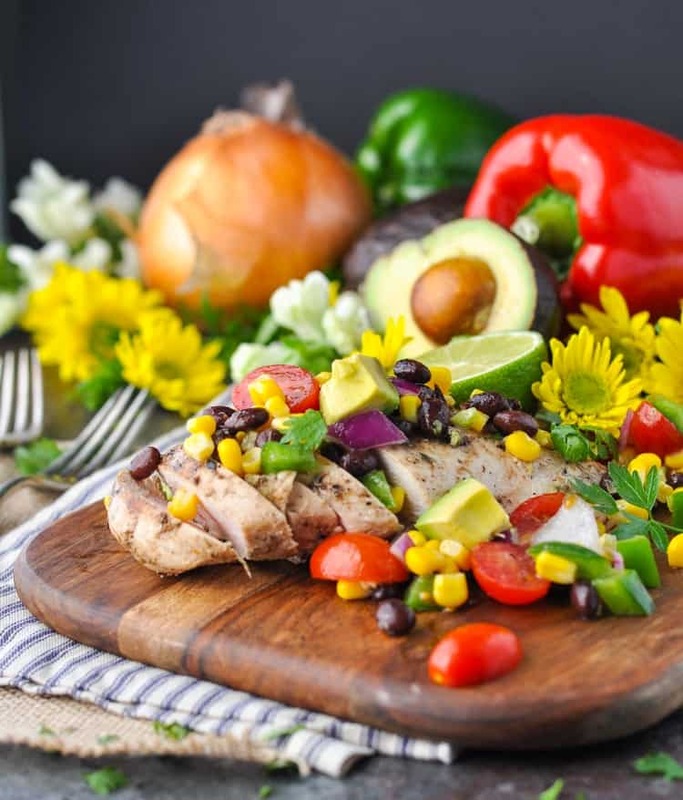 I like to pair the salad with grilled chicken breasts, but you can also use a store-bought rotisserie chicken, grilled fish, or just wrap it up in a tortilla with some shredded cheddar cheese. The versatile Cowboy Caviar is a 10-minute recipe that will soon become a staple on your summertime menus as well! Cooking Just for Two? Just cut the ingredients in half and grill less chicken. You can also freeze any leftover chicken for another meal. The extra Cowboy Caviar is delicious added to wraps or as a topper on a salad. Want to Prep Ahead? I like to grill chicken ahead of time and enjoy it cold or at room temperature. The Cowboy Caviar can also be prepared up to 24 hours in advance. Just give it a good stir right before serving! Have Leftovers? Use leftover Cowboy Caviar to top quesadillas; wrap it in a tortilla with shredded cheddar cheese; serve it over grilled seafood; mix it with a green lettuce salad; or serve it on its own with hamburgers and hotdogs! In a large bowl, toss together beans, corn, tomatoes, bell pepper, and onion. 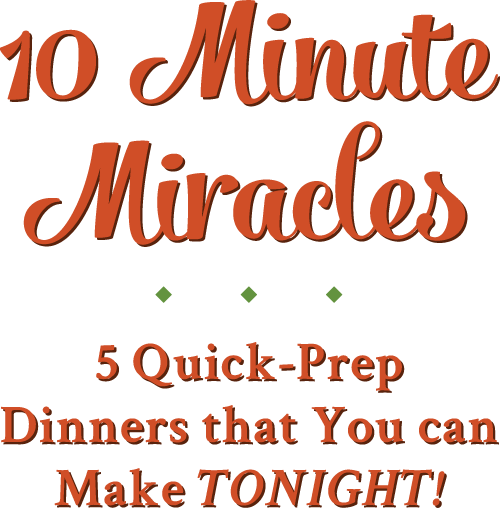 In a separate bowl, whisk together lime juice, olive oil, salt, cumin, and cayenne until completely combined. Pour dressing over the bean mixture and toss to coat. Cover and refrigerate until ready to serve. I like to grill about 1 lb. 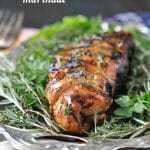 of boneless, skinless chicken breasts for this recipe. To do so, preheat an outdoor grill or an indoor grill pan to medium high heat. Rub chicken with olive oil and season with salt and pepper on all sides. Place chicken on the grill and cook for about 5-6 minutes per side, or until cooked through. Serve grilled chicken topped with Cowboy Caviar. Garnish with fresh cilantro and sliced avocado, if desired. 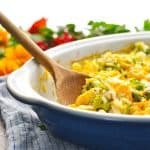 Previous Post: « Our Week in Meals #33 – on Vacation! I love how pretty this chicken is, Blair! 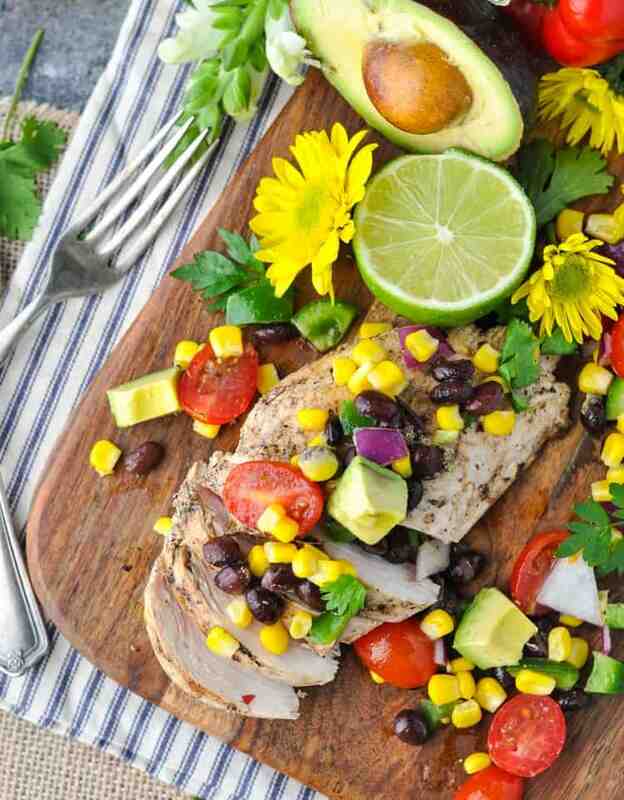 Chicken is our staple dish too, and I’m always looking for easy ways to jazz it up. I’m loving the corn and black bean salsa. Sounds perfect for the summer and SO good! And even better that my husband would love this, too! Sooo I am definitely not a real caviar fan, but cowboy caviar I could TOTALLY do! 😛 So much better! This sounds so fresh and delicious, I love the mix of flavours in this Blair, can’t wait to try this!